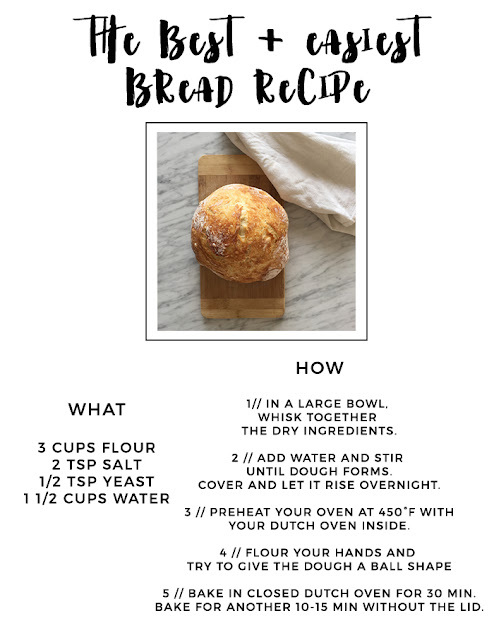 Last Saturday, I was browsing Pinterest and saw a few pins about this supposedly easy, quick and delicious bread you could make in your dutch oven. Easy? Fast? Less than 5 ingredients? Count me in! I decided to give it a go and let me just tell you, it is amazing. My husband was a little skeptical at first and couldn't believe it when this beautiful golden loaf came out of the oven. Trust the French girl - I know my bread - and this one is good. I am never buying bread again.